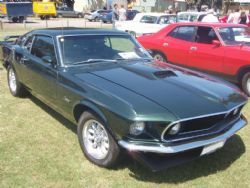 The Mustang Owners Club of WA was formed in 1978 and is affiliated with the Mustang Owners Club of Australia. The clubs membership has grown significantly over the last eighteen months and currently the club has in excess of 220 members. I had the opportunity to interview the current president of two years, Craig Watts and he explained that the growth in membership is due to a number of factors. Some of these include a favourable exchange rate resulting in a lot more Mustangs in the market, enthusiasts looking for a classic that has readily available parts, a car to modify and have fun with and having a hobby that you can share with the family. The awareness of the new Mustang based on retro styling has also raised the level of interest in the original classic Mustangs. 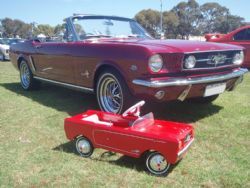 The Mustang Owners Club of WA welcomes all enthusiasts, even if you do not currently own a Mustang. The only requirement for membership is an enthusiasm for the Ford Mustang. The focus of the club is preservation of the marque and social activities for the members to enjoy. 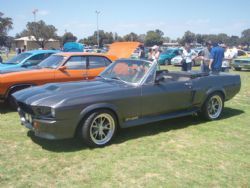 The club recently conducted the successful 2008 Nationals at Joondalup with cars coming from all states across Australia. They run a number of events throughout the year including a show and shine, cruises and track days and hold some activities with other clubs including the GT Falcon Owners Club with whom they host the All Ford Day every two years. Joint car club runs are also held with the Jaguar and Corvette clubs. The club is currently organising a Swap Meet for Ford owners and they hold an annual Round Up event on the first Sunday in March that attracts around 120 cars on the day. They also hold an annual Lube Day that is hosted by a member at his workshop allowing members to get their cars on a hoist and perform some maintenance. As a result of the great social atmosphere of the club they raised twenty five thousand dollars for Camp Quality last year. Annual membership is sixty dollars and new members pay a twenty dollar nomination fee on top of that. There is a wealth of information in the club covering all the technical aspects of the various models and years which is openly shared amongst members. Members also receive a monthly printed magazine which is posted to all members of the club and includes a calendar of events, minutes of the club meetings and many interesting articles from sources around the world. 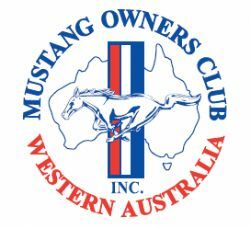 If you are looking to purchase a Ford Mustang, are a current owner or enthusiast of the marque and would like to join the Mustang Owners Club of WA to enjoy the social aspects with other like minded people you are welcome to attend a monthly meeting. Monthly meetings from November through April are more informal and usually involve a short meeting accompanied by a cruise. The club has an excellent website with full details about membership, some great photos and event information.